Here are some other frequently asked questions about our Shell package. If you have questions, feel free to contact us so that we can discuss your cottage needs. Our shell option is where we take your project from the initial design stage straight to the point where the cottage is closed in and protected from the weather. The above list would be the minimum scope of work for a shell option project. However, keep in mind that Pine Creek Homes is a full-service custom builder and we can take your project to any stage in between a shell option and a turnkey build. 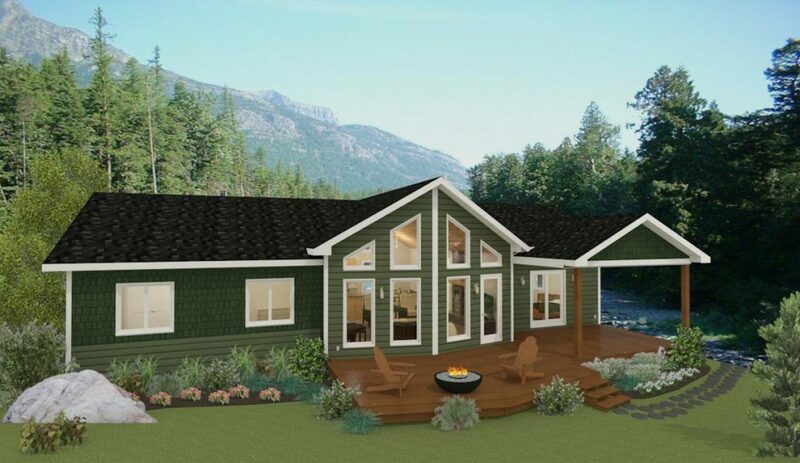 There are many ways to make your cottage comfortable and livable while at the shell stage of construction, so that you can start making memories with your friends and family while you finish the work. 1) Sand and varnish the floor plywood. This gives a smooth finish to the plywood and allows you to clean and mop and avoid slivers. It also helps keep the dust down. 2) Build a temporary countertop to hold a sink and faucet and do some meal preparation. 3) Install enough plumbing for a working toilet and sink. 4) Install some minimal electrical to have a few lights and plugs. 5) Finish rooms in order of importance for example bathroom first, then bedrooms. 6) Bring in some furniture and make it feel like a home. 7) Cook Outdoors! There are many great options for outdoor cooking including propane camp ovens, Coleman stoves, and let’s not forget the fire pit. Roasting hot dogs is always a favourite cottage meal. Cooking outdoors can be part of the adventure of being at the lake and kids love it. Might as well put that screen room to good use. This question has a two-part answer. Part 1: The building process itself. The building process for a shell can generally be completed starting at 2 months depending on the size. Part 2: Planning and permitting. This part of the timeline has a wider time range. The plans can be drawn fairly quick if a customer really knows what they want, or sticks close to one of our pre-drawn plans. However, we encourage people to take their time on this part. Remember, you’ve got generations of memories ahead of you to be made. Why not take a bit extra time now to make sure your build is going to be exactly what you want. After all, that is why you’ve come to a custom builder. At Pine Creek we specialize in custom drawing and design in addition to custom building. Permits really depend, they can range anywhere from two days to two months depending on the office. The biggest savings from doing a shell project are the savings on project management. The latter part of the building process requires a much higher number of trades doing a smaller percentage of the total work or dollar value. That equates to a lot of trips out to Cabin Country for us to meet, and manage, these trades. Furthermore, much of the foundation and framing work is done by our own employees and company owners. So we can manage those parts of the build while we’re personally out there working. If you have questions, feel free to contact us so that we can discuss your cottage needs.